Google Adsense is a prominent advertisement program that shows ads on a blog according to its (blog) content and readers. As of now, it’s a first choice of almost all bloggers; especially newbie bloggers’, who want to monetize their blogs. Adsense offers a decent revenue share (publishers receive 68 percent of ad revenue) whereas other ad networks get up to 50 percent of your ad revenue. Also, Google has been improving its ad serving network continuously for example recently it had launched page level ads and not long ago it’s launched new generation ads called auto ads. Auto ads take care of everything like best ad placements for your site and number of ads to be shown on a page. 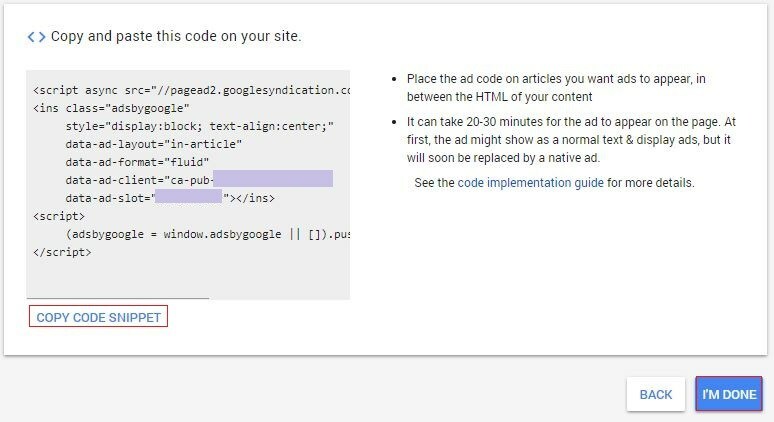 After enabling auto ads, you don’t need to place ad codes on your website, one auto ad code will be enough. However, the performance of auto ads not yet defined therefore many publishers are using auto ads along with normal Adsense ad codes. 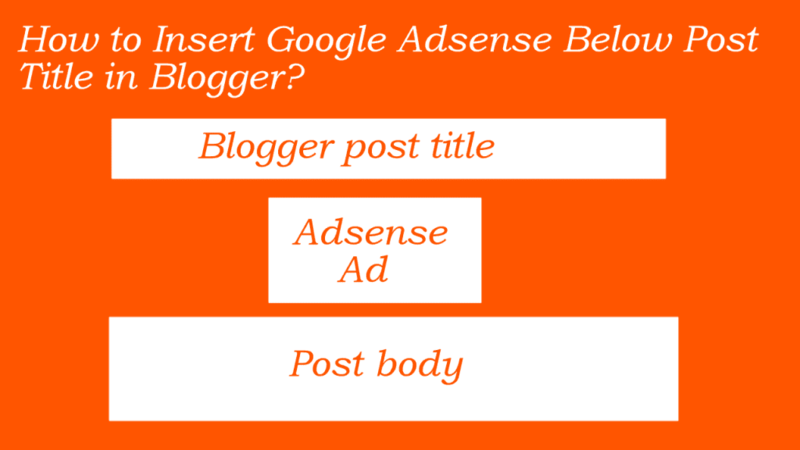 Today, I’ll be showing you how to put Google Adsense below post title in Blogger. You can enhance your Adsense earnings by simply finding best ad placements. Ad placement depends on your blog layout, however, there are some ideal ad placements such as under post title, in the end of the post, between post and comments, and on the sidebar, that work for almost all blogs. When a visitor comes to your site, his or her main focus is on the information for which he visited your site. Therefore, showing ads between post content area can help you get more clicks. You might have read more articles on this topic but I’m sure many of them suggest you parse Adsense code first. Though, parsing an Adsense ad code does not modify your ad code but I asked this question on Adsense help forum and they simply suggested me to stay safe. Probably, they’re also not sure. Adsense ad placement policy is not that clear and once they find any policy violation they simply terminate or suspend that account. So, in this post, I’ll show you a simple way to put Google Adsense below post title in Blogger without parsing your ad unit code. You can also use this trick to show Adsense ads after the post or under the post. To do so, you don’t need to parse your Adsense ad code. I had been using this trick to show ads in my blog posts; when my blog was on Blogger. But about a year ago, I shifted my blog from Blogger to WordPress. Suggestion: You should use Auto ads instead. This way you don’t need to add ad codes anywhere inside your Blogger theme code area. 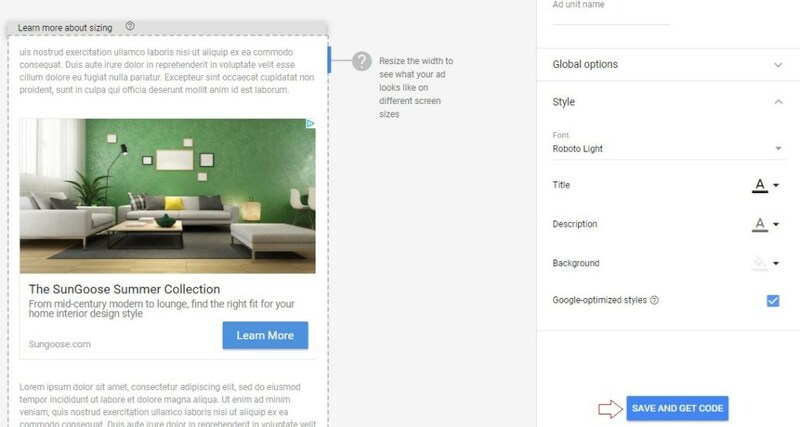 Auto ads will automatically show one or more (depending on your content length) ads inside your post area. 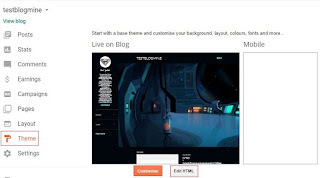 How to Insert Google Adsense Below Post Title in Blogger? First of all, you’ll need to generate an Adsense ad unit code using your Adsense dashboard. 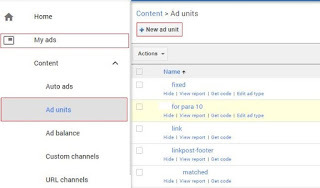 If you don’t know how to create an Adsense ad unit code then let me show you how to do so. Login to your Adsense account and from the sidebar, click on My ads. Thereafter, click on Ad units and then New ad unit. Then, you can see different ad formats. Since you’re going to add this code to your posts, therefore, I suggest you create In-article ads. However, choice is yours, you can pick another ad format. On the next page, give a name to your ad unit e.g. ad-under-title. You can style your ad according your blog. After styling your ad, click on Save and Get Code button. Now, click on Copy Code Snippet and then hit I’m Done button. Paste ad code in a text document for a while, we’ll use it later. That’s it. We’ve successfully created an Adsense ad unit. Now, it’s time to add this code to our Blogger theme’s code area. Note: Please save backup of your Blogger theme. Login to your Blogger dashboard. Then, from the sidebar, click on Theme and then click on Edit HTML. Now click anywhere inside the html code area and then press Ctrl+F keys. In the search box, type <data:post.body/> and hit enter button. Note: Depending on your theme, this line may appear more than one time. Now, copy following piece of code and paste it in a plan text file. Paste your Adsense code here. 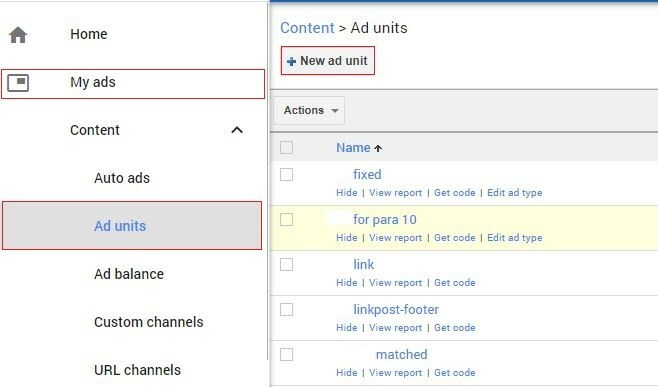 Note: Since you’re going to show Google Adsense below post title in Blogger, therefore, I’ve added Advertisements from my side so you’ll not violate Adsense ad placement policy and your site visitors can easily understand that these ads are not part of your content. That’s it. Now, we can add this code to our Blogger theme to put Google Adsense below post title in Blogger. Simply, add this code, just before <data:post.body/> to show Google Adsense ads below post title in Blogger and then hit Save Theme button to save changes. Note: If the line appears twice in your blogger theme then paste your Adsense code before both lines. If you’re seeing only one line then you’ve to add the code only once. It depends o theme you’re using. Some Blogger themes have only one <data:post.body/> line and some have two. You can also show ads after the post or under the post by simply putting your Adsense ad code after the mentioned line. Also, you can create another Adsense ad unit and can place that code after the line. This way you’ll be showing Google Adsense below post title and after the post in Blogger. Ads will start appearing on your blog after 30 minutes or more. How to show Adsense ads on posts only not on Homepage or other pages? After adding above code to Blogger theme, ads may also start appearing on your homepage. It depends on theme. Usually, themes have on <data:post.body/> line do not show ads on homepage or pages but themes with two mentioned lines show ads on homepage also. If your theme is also showing ads on your Blogger homepage then you will need to add below condition to your ad code. Above code will help you show ads on posts only not on homepage or other pages. You’ve done everything from your side. Now wait till ads start appearing on your blog. From your Blogger dashboard, go to Theme> Customize> Advanced> Add CSS and Add following CSS code to adjust your Adsense ad margins.